What a crazy, stormy day here in El Paso. You read that right, we’re getting rain! I love hanging out back when the weather gets rough and this time around I am doing it with an Illusione Rex and a Prairie Artisan Ales Vanilla Noir. 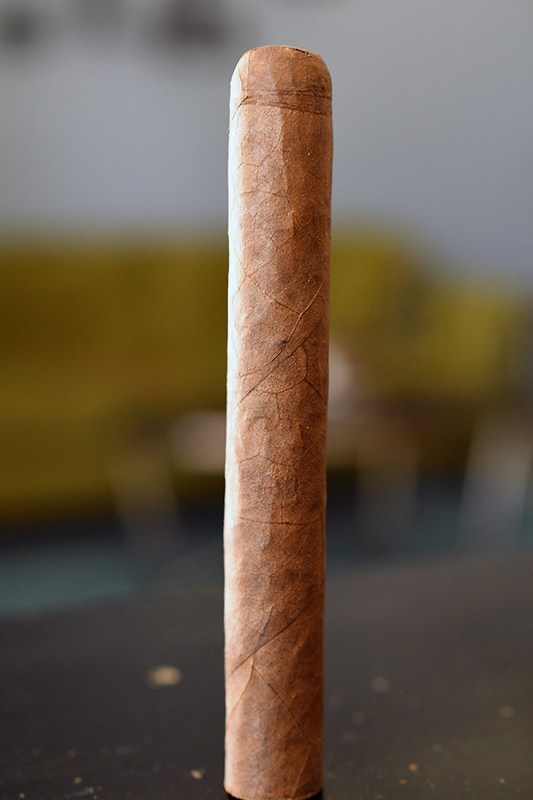 Based on La Grand Classe, a Fumare (Dion Giolito’s cigar shop in Reno, NV) exclusive, the Rex originally made it’s debut in 2013. At last year’s IPCPR show in Las Vegas Dion announced that the Rex would be back in production under the new La Grand Classe line. 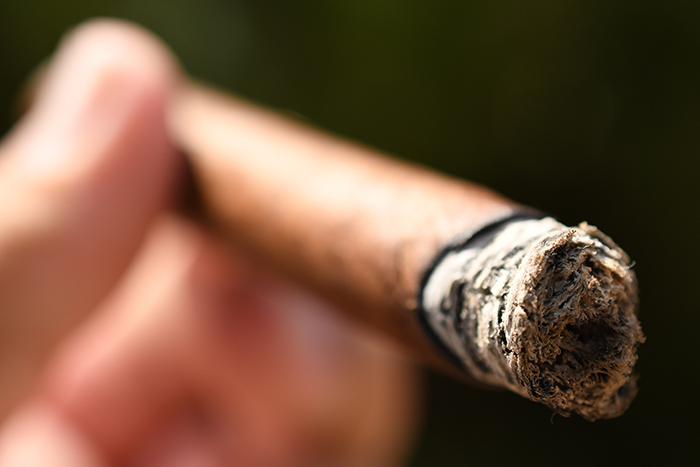 The cigar starts with an Ecuadorian Habano wrapper over Nicaraguan binder and filler tobaccos. The Rex comes in at a modest 4 5/8 x 40 and comes packaged in gold packs of 25 vs. the original release which came in cabinets of 50. The cigars run only $5.99 a stick and I scooped mine up over from our good friends at Fox Cigar Bar who, at the time of writing this, still have some in stock. 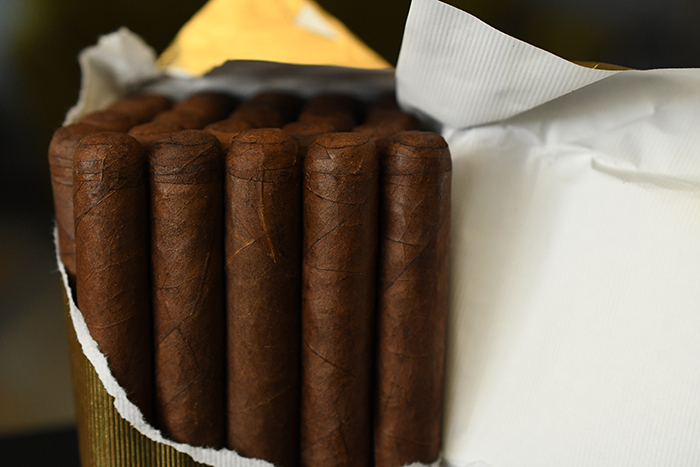 The Illusione Rex starts out with a deep, consistently dark brown wrapper. The wrapper is scattered with splotches of darker brown as well as some natural webbing in the tobacco leaf. 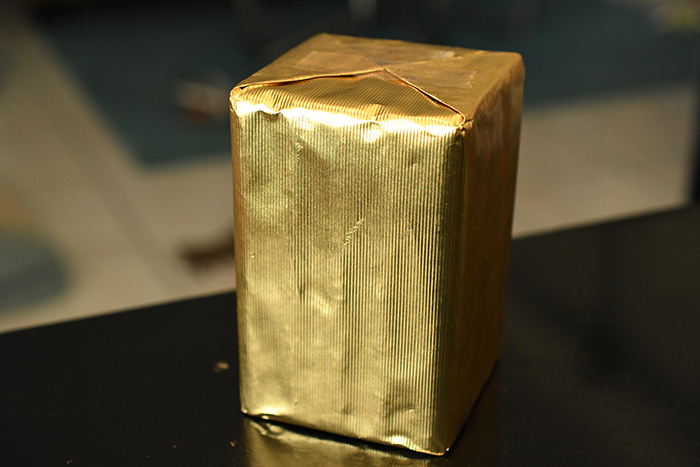 The wrapper’s texture is extremely toothy and gritty some some slight oils. 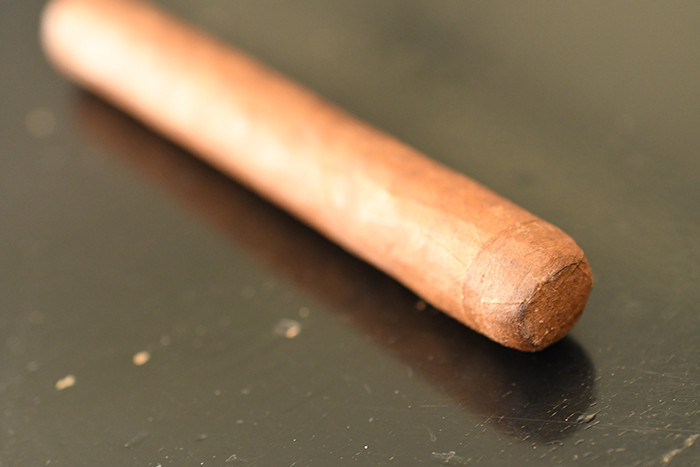 The wrapper feels very thick and dense why the cigar itself feels very solid and tightly packed with no soft spots anywhere throughout the cigar. 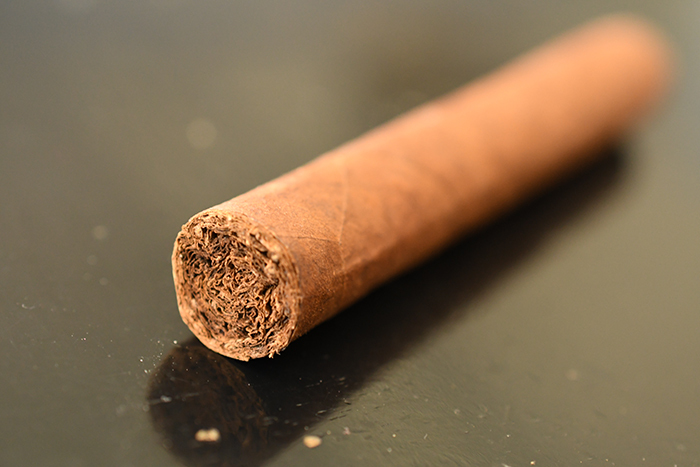 The cigar is short and stubby as it leads up to it’s round triple-wrapped cap and naked body with no band. 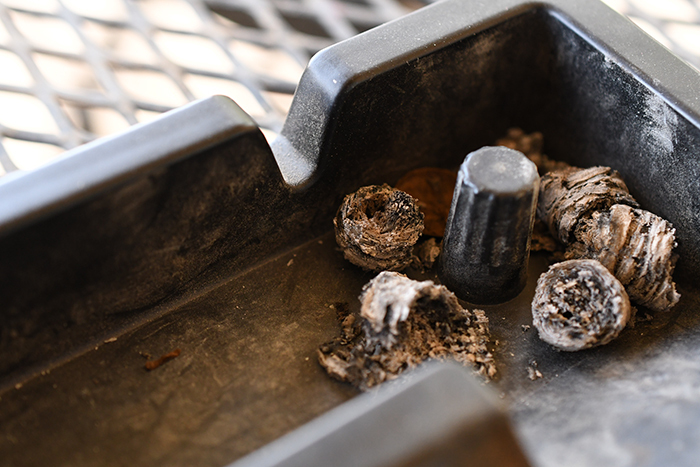 The wrapper on the Illusione Rex gives off some great musk and cedar aromas while the foot of the cigar carries much more spice and naturally tobacco scents. The cap cut clean and easily using my Xikar XO double bladed cutter. The cold draw produces some great spice, musk, natural tobacco and floral flavors. The Illusione Rex starts out with a huge bang of black pepper mixed with some sweet spices. After a few draws the pepper begins to fade out enough for the cigar to showcase more sweetness, loads of musk and leather, and a soft perfume/cologne type flavor with a splash of vanilla. As I continue to smoke some of those floral notes I picked up in the cold draw begin to peek in and out of the experience. The draw is flawless as ever puff kicks out a good amount of thick, white smoke while the cigar releases little to no stationary smoke as it rests in my ashtray. The burn line is razor thin and dead even leaving behind a trail fo tightly compacted medium/light gray ash which held on for about a half an inch before falling into my ashtray. Into the second half of the Illusione Rex and the flavors have started to cream out a bit creating a much smoother, more balanced profile. The cigar leads with vanilla and oak backed by some great spice, musk, floral flavors, and soft leather and cocoa. 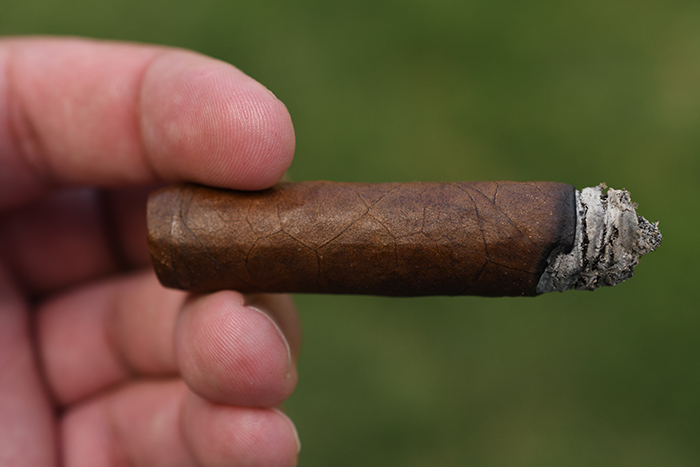 The cigar started in the medium/full range and remains there as I close in to the final inch. It took me a little less than an hour to take the Rex down to the nub and I loved every second of it. I experienced no harshness nor extended heat but the small cigar left me with a little nicotine kick. I am a huge fan of small format cigars. I don’t get as much cigar smoking time as I used to and hate when I have to put a good cigar down due to time constraints. While the Epernay La Petite has been my go-to for these situations I could easily see the Rex finding it’s way in my quick smoke rotation. The price is perfect, and the cigar’s performance is exceptional all with a great flavor profile that I really enjoyed. I’ve been smoking through these guys like crazy and don’t see myself stopping anytime soon. 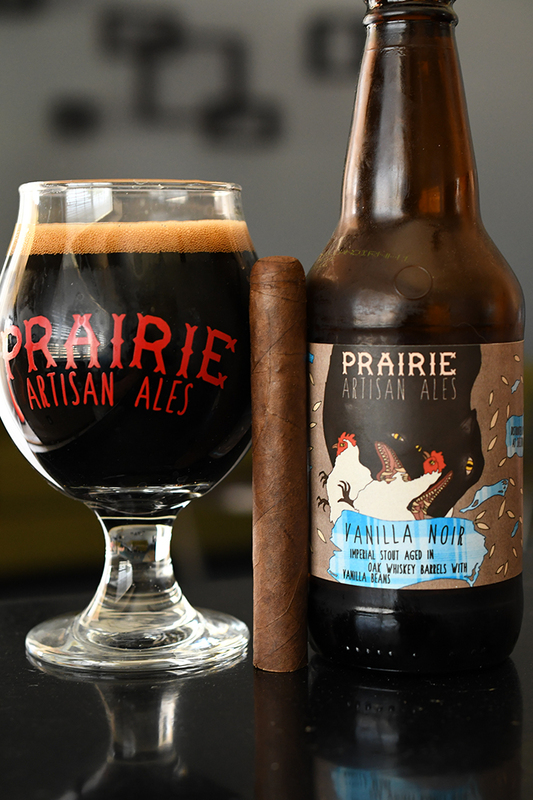 Brewed at the Prairie Artisan Ales brewery in Oklahoma Vanilla Noir is an 11.5% ABV Imperial Stout brewed with vanilla beans aged in whiskey barrels. The Vanilla Noir starts out with some sticky caramel, loads of sweet vanilla, cocoa, musk, and some slight whiskey with a very heavy mouthfeel before finishing super sweet with more vaniila, cocoa, and malt. The alcohol is very well hidden in this beer. The vanilla and sweetness really helped bring the sweetness out of the Illusione Rex while the cigar added an awesome oakiness to the beer.